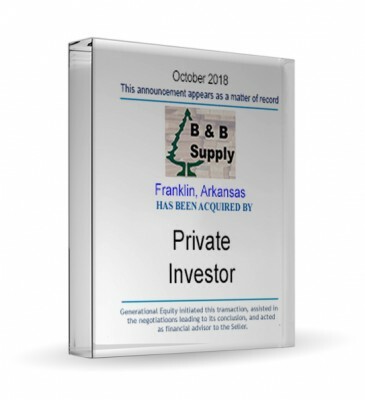 Generational Equity is pleased to announce the sale of its client, Barnes Brothers Inc., to an individual investor. The acquisition closed October 2, 2018. 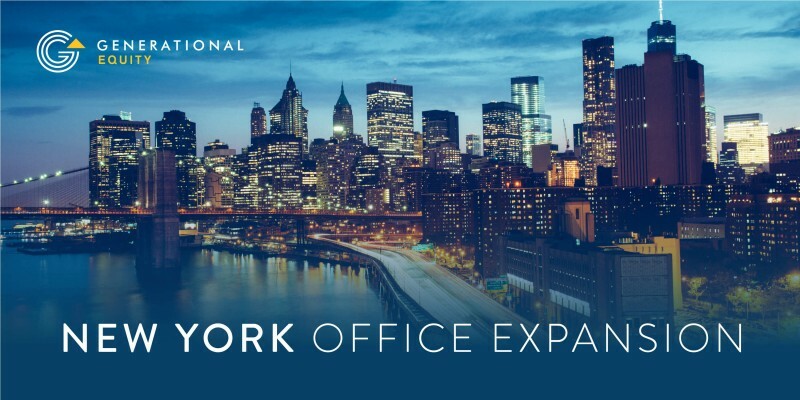 Generational Group is pleased to announce the continued expansion of the firm with the opening of an office in New York City, New York. Generational Equity is pleased to announce the sale of its client, Prestige Property Maintenance Inc., to Juniper Landscaping. The acquisition closed September 14, 2018. 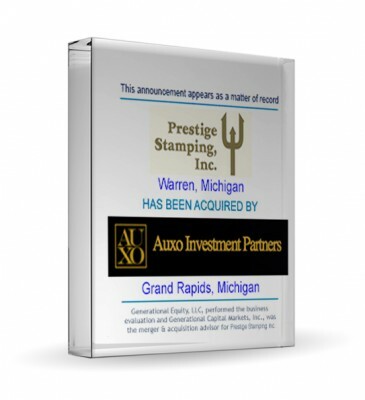 Auxo Investment Partners, an investment firm operating out of Grand Rapids, Michigan, acquired Generational Capital Markets client Prestige Stamping on September 30, 2018.